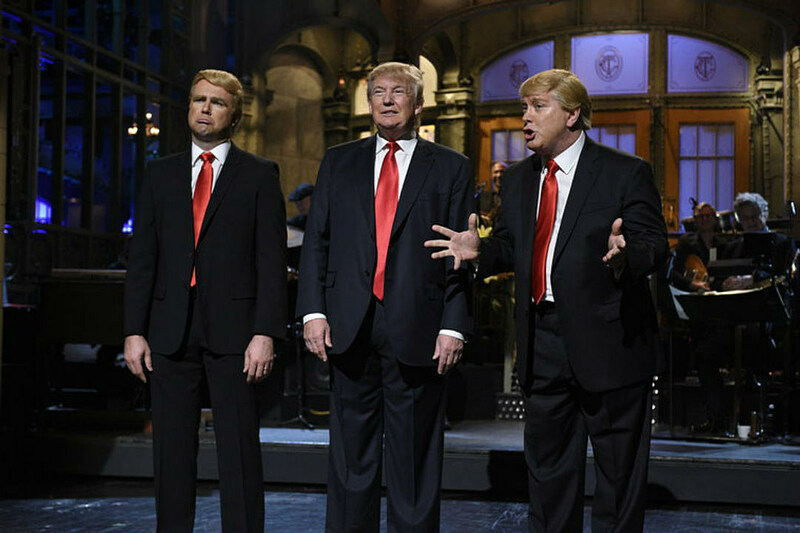 The animosity between SNL and Donald Trump isn’t going anywhere, but it’s hard to overlook the series’ role in normalizing the then-presidential candidate. Well, as it turns out, SNL apparently tried to mend fences with its fiercest critic, inviting Trump back alongside Alec Baldwin. I can’t imagine what it would be like if I met him [now], if I ran into him. When we did the show—when I hosted S.N.L. this season—we asked him to come. We invited him to come, we were so hopeful he would come, but he didn’t show up. Obviously, there’s a history of SNL letting famous figures stand alongside their impersonators (Trump included), but it’s likely best our Tweeter-in-Chief declined the invitation. Any additional ratings surge wouldn’t offset the bad press of SNL granting such a divisive figure another platform, and cast have since been vocal that Trump was no picnic to work with. In the meantime, SNL will proceed with Season 42’s final strike-averted shows, featuring Chris Pine, Melissa McCarthy and Dwayne “The Rock” Johnson, none of which are likely to make Trump too happy. Stay tuned in the meantime.